For a while I suspected that I only snored intermittently throughout the night. My snoring has generally occurred under the usual “snoring circumstances” such as laying on my back, after drinking alcohol and being extremely tired. My snoring seemed to get worse after coming to an early menopause which also coincided with some weight gain. I found with my VivoFit band that I was waking frequently, but it didn’t provide comprehensive information so I started looking at other sleep monitoring methods. That’s when I can across the SnoreLab app. After thinking I was only an occasional snorer, I was shocked to see that I snored consistently all night with a large chunk of it being the “Epic” level. I’ve had problems breathing through my nose for some time, so saw an ENT specialist thinking this was the likely cause of my snoring. I mentioned my SnoreLab results and that I thought my snoring was a bigger problem than I initially had thought and that I wanted it investigated. He didn’t really ask about sleep apnea or snoring and instead I had nose surgery which wasn’t particularly successful. Once I had used SnoreLab for a bit, I didn’t really suspect I had sleep apnea, I just thought I was a chronic snorer. It was while researching chronic snoring that I came to think that I might have sleep apnea, or that it was at least worth doing a sleep study. I analyzed my SnoreLab results and I started to notice some tell-tale signs. 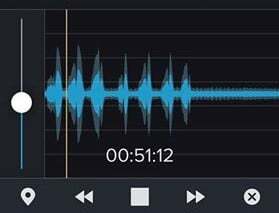 I did full night recordings and there were some silent areas in my sessions with some gasping noises. This made me think that sleep apnea was a possibility, but thought that it was probably mild as mostly the results were showing snoring sounds all night long. More alarm bells started ringing when I realized that I was feeling extremely tired all the time, yawning at my desk after only a few hours at work. Once I had joined the dots – the excessive sleepiness and the snoring – I then seriously considered sleep apnea as a possibility. I noticed my Snore Score was getting higher so I looked closer at the audio and found more silent areas and gasping. My doctor was very obliging in referring me to a sleep specialist after I explained my SnoreLab results and my constant tiredness. The sleep specialist was interested in the app, and after some questions I was offered a sleep study straight away without any further investigations. I had the choice of a home study or one in a sleep clinic. The home study seemed to tick the boxes in terms of cost, so I asked if this was as reliable as one performed in a specialist clinic. He explained that due to the severity of my symptoms, a home study will likely give a reliable diagnosis. If he wasn’t sure from the home study results, he would insist on a clinic study. Four weeks after my initial consultation I had my home sleep study. On the day of the study, I went to a late afternoon appointment at the sleep clinic so a technician could help me fit all of the parts. There were many attachments: finger clamp sensors, heart rate monitors, a microphone, various electrodes that attached to my head and chest as well as some other parts to look for leg movement. She attached everything in an orderly fashion and explained it all as she went along. I then went home (with a jacket on to cover up my attachments so I didn’t attract unwanted attention) and got on with my evening. Despite having these pieces attached to me, I was still able to move around easily and do the things I’d normally do before bed. Of all the connections, there were a few that I had to fit myself before going to sleep. The leads from the various attachments were bundled into one plug to be connected at the front of a belt around my middle. Then I had to put in the nasal prongs and a small clamp on my finger which were also connected to the belt. When I went to sleep, it was an unusual feeling, but certainly not uncomfortable. I didn’t feel like I slept very well for fear of the leads disconnecting. In a Catch-22 scenario, I then started to worry that because I thought I wasn’t sleeping well the test wouldn’t give an accurate representation of my normal sleep (this later proved to be an unfounded fear, as there was plenty of data when my results came back, and the diagnosis was clear as day). Before, the technician had explained what needed to be disconnected in the morning. Everything came off very easily like she said it would. By undoing the two connections on the front belt, the entire system slipped off like a cardigan. She had also explained that there was no need to tidy up the leads or disconnect anything else, I simply had to put everything into a bag and return it to the clinic. The results were sent away to be analyzed and I got them back in four weeks. I was very surprised. After thinking that if I did have sleep apnea, it would be very mild or not detected, my results came back as “Very Severe Obstructive Sleep Apnea”. My AHI score was 100! This means that my sleep was disrupted 100 times per hour. Sometimes, oxygen was interrupted completely for 30 seconds at a time. Following the initial shock, I was then excited to think that there are known treatments for sleep apnea and that I would one day hopefully not feel so tired. The sleep specialist wrote a script for a CPAP machine and gave me a list of suppliers. Helpfully, the script also had instructions to the supplier as to what settings the machine should have. Interestingly, the chemist I rented the CPAP machine from had a sleep apnea trained assistant. I discussed the app with her and she was intrigued. She mentioned that a lot of people assume they can rent a CPAP machine without a script (they can’t here in Australia). She then said that SnoreLab would be a great way to give evidence to doctors and convince them that a sleep study is necessary. I had to use the machine for a month so they could determine its effectiveness and whether the airflow settings were correct. The machine I was given had a feature that meant it could also detect apnea events. After a month of use, my AHI score reduced from 100 to 3! I’m so glad I did the sleep study and started CPAP treatment, especially since I did some research about the detrimental effects of sleep apnea. Having such a high score meant I was a prime candidate for stroke and many other health problems. I am still using a CPAP machine, and whilst I’m still a bit tired in the day, I’m optimistic that this will improve. Even though my sleep still isn’t quite where I want it to be, I feel comforted that my breathing obstructions are not so life threatening! 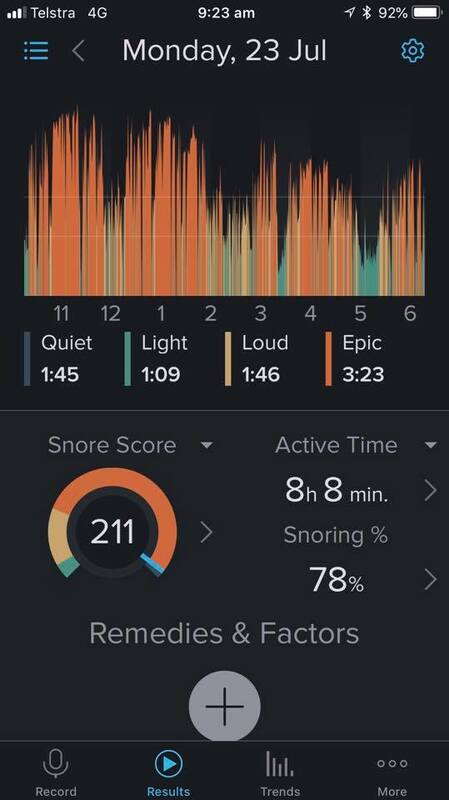 I sing the praises of SnoreLab all over the place and honestly don’t think I would have pushed for a sleep study had I not used the app beforehand. Many people snore loudly and feel tired throughout the day, but don’t make a link between the two. 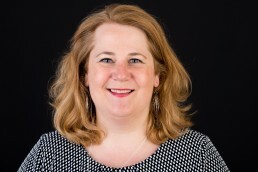 Susan was able to identify some tell-tale signs of sleep apnea on SnoreLab and pushed for a sleep study which has given her a reliable diagnosis. You can read about what a sleep study entails here. She has since made massive strides to improve not only her sleep health, but her risk of many associated conditions. 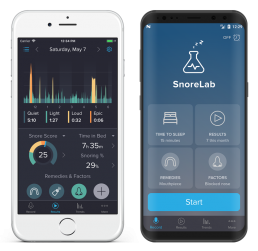 You can read more about what sleep apnea is and investigating sleep apnea with SnoreLab’s insights.